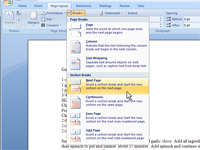 In Word 2007, you can easily break up your document. 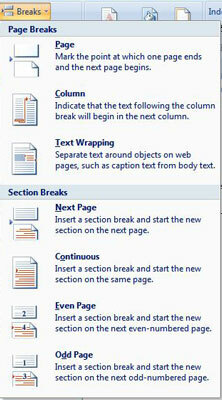 You can use section breaks to break up your document. The section breaks are Next Page, Continuous, Even Page, and Odd Page. 1Click the Page Layout tab on the Ribbon. 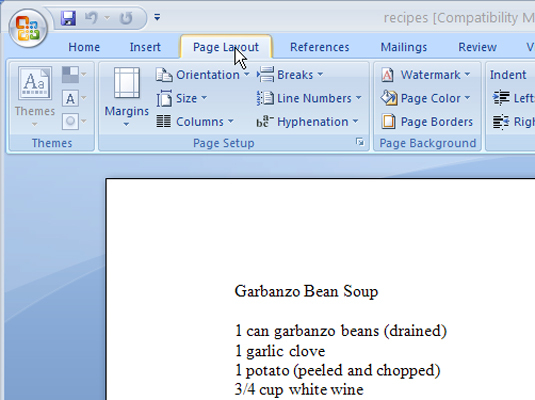 The Page Layout tab is the third tab from the left, located between the Insert and References tabs. 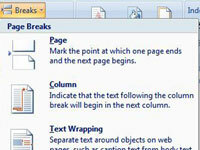 2In the Page Setup group, click the Breaks button. The section breaks are at the bottom of the drop-down list that appears. 3Choose Next Page from the Breaks drop-down list. This is the simplest way to create a new section. 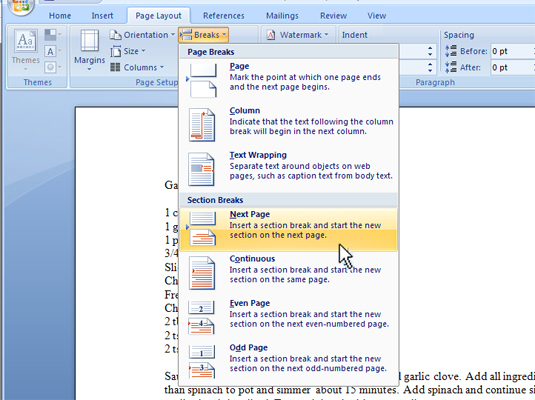 This creates a page break, by starting a new page as a new section in your document. Another choice you can select is Continuous: This mixes formatting styles within a page. If you have two columns of text sharing a page with regular text, this is the ideal way to separate the individual formats. Or, you may select Even Page and Odd Page: This starts the next section on either an even page or an odd page, respectively — helpful when trying to bind a book.